The plumbers that most businesses in Littleton call on for all their plumbing needs are the friendly and professional technicians at Efficient Plumbing Services. All over the Littleton area, business owners can be assured that all of their plumbing problems and maintenance are taken care of by plumbers who specialize in commercial plumbing. 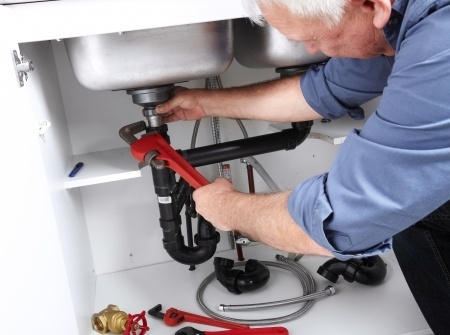 Whether you have a small one-man business or a giant chain of them, Efficient Plumbing Services. can handle all your commercial plumbing jobs, large and small. • Installation of all your plumbing systems, including fixtures and appliances that often need to be installed by a licensed commercial plumber, depending upon your industry. • Repair of pipes, drains, fixtures and appliances. Why rely on a general handyman when you may end up calling Efficient Plumbing Services anyway? • Replacement of any broken or worn pipes and drains. When you call us to troubleshoot a problem, we will only do what needs to be done, saving your business money. • Maintenance of your entire plumbing system. Many industries are required to have routine inspections of their business in order to maintain licensing or insurance. Whether you need to or just want to have an inspection to make sure there are no issues approaching, Efficient Plumbing Services is ready for your call. One of the reasons that commercial plumbing is far different than residential plumbing is simply the factor of time. Any hour or day that your business is down because of a plumbing problem means that your business is not making the revenue that we know you need to be successful. This is why Efficient Plumbing Services is dedicated to a fast response, quick diagnosis and swift repair of whatever plumbing problem you have. For all of your commercial plumbing needs, large and small, call Efficient Plumbing Services of Littleton and we will take care of your business as if it was our own!